As a fellow survivor, the polite thing to do when zombies are concerned is to leave a warning that zombies are near. The perfect way to do that is to mark the area with a Zombie Floor Sign with Caution Tape. That way, all other survivors can make note of a potential zombie threat, thanks to your courtesy. Resembling a traditional maintenance floor sign, this clever prop has gray coloration and boldly declares, DANGER! Zombie Crossing. Beware the Undead. These words are featured over a white and red triangle around a black zombie silhouette. This design is seen on both sides, so that it can be seen from one way or the other. 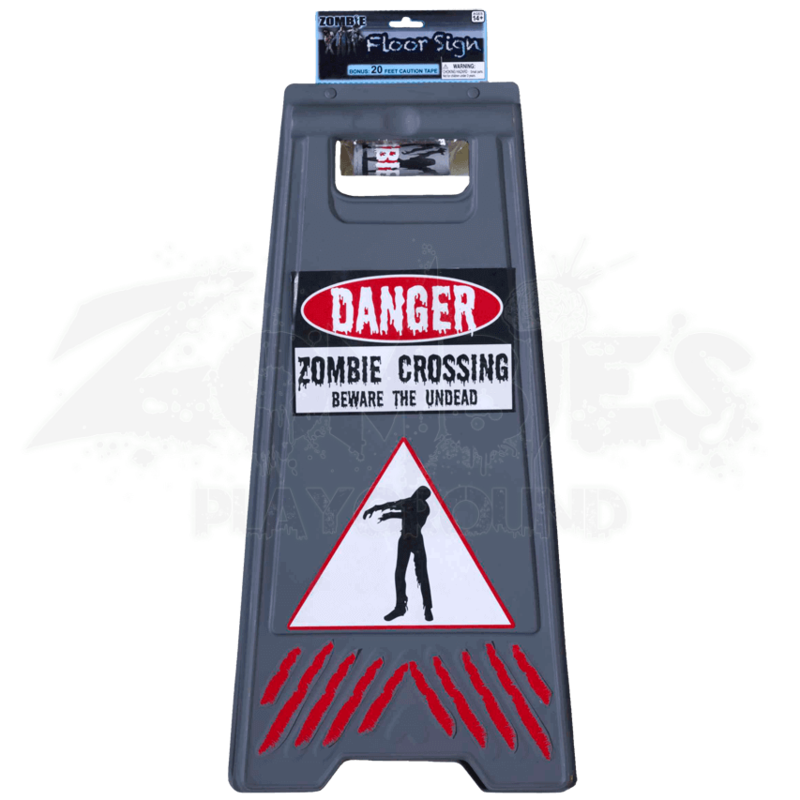 Also included with the floor sign is a roll of caution tape that reads simply Beware of Zombies, so that you can cordon off an area in order to warn other survivors of an undead presence. 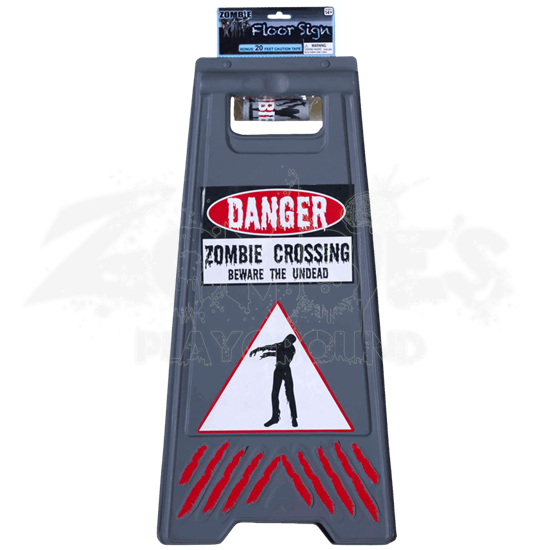 This floor sign measures 23 inches tall and 11 inches wide and is made from lightweight plastic. It features a hinged top to allow it to stand freely. The roll of caution tape is made from plastic and measures 20 feet long, from the beginning of the roll to the end. Whenever you put up the Zombie Floor Sign With Caution Tape, you are doing other survivors a favor by letting them know where is safe and where is unsafe. And if anything, you might also get a smile or a laugh out of a few passersby as well.